Ready or not, here come the holidays! For some people it is a non stop train ride to happiness and for others it is an intimidating list of items that need to be accomplished as perfectly as possible. 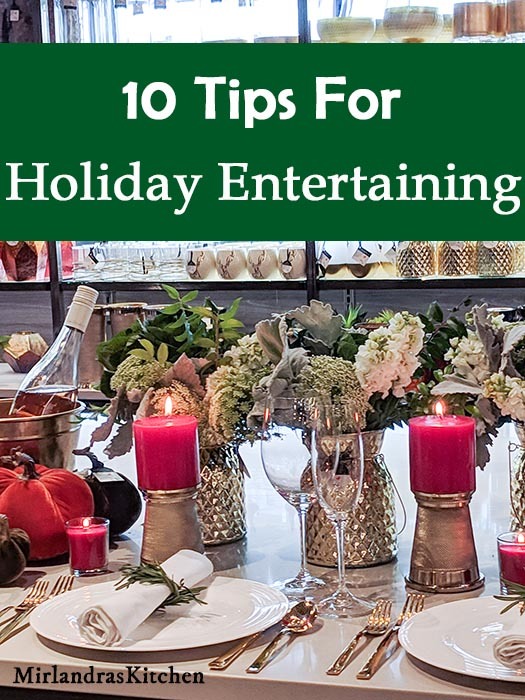 This year I’m breaking down 10 great tips to help you nail YOUR perfect holiday entertaining experience! Full Disclosure: This post was sponsored by Albertsons on Broadway. They invited me to the store and shared some wonderful tips for holiday entertaining last week and today I’m passing them on. I’ve been an Albertsons shopper since I was a little girl and I love getting to share about a great brand out of Boise, ID! All opinions in this article are my own as always. Now that you know what you want to put your focus on make a plan for it. Going to somebody’s house? Decide what to bring. Hosting people? Set the menu and figure out what can be made ahead of time and put it on your calendar. Give yourself plenty of time to do the things you want to do to make your event a joyful occasion. While you are planning, think about what your budget can afford. The holidays are not more joyful with more money. Set a budget and stick to it for a peaceful season without financial regrets! Be choosy about the decorations you buy. Select things that will stand the test of time and look good for many years to come. I enjoy a modest amount of holiday decorating but every piece of holiday decor I own is something I LOVE. Every time I get it out for the season it brings me joy. My very favorite fall decorations are the debi lilly™ design velvet pumpkins and acorns I found at Albertsons last year. I was so excited to see them back at Albertsons on Broadway this year. They come in a variety of beautiful, vivid colors and are soft and cozy to the touch. My son, Jack, loves to help me put them up. He thinks pumpkins and all things soft are the best. This year I’m buying a few more of these wonderful pumpkins to add to our collection. It is always fun to add a few new items every year. When I pick up new things I look at my collection and toss anything that I no longer love or that has become shabby. Never hold unto something just because you used to love it. When the time comes to let it go, donate it and let somebody else enjoy the item! The holiday season feels like one non-stop buffet of food and I LOVE it! But we all need a break from the crazy cooking and eating sometimes! Look ahead at your calendar and figure out what nights you will be more rushed or tired. Plan ahead to get some grab and go food, throw something easy in the crock pot, pick up a meal kit or make a nice big salad with some grilled chicken or shrimp. Albertsons on Broadway has options in every price range to help you put some simple dinners on the table even when you have extra family in town and need to stretch a meal. One of my favorite tricks is to pick up a bunch of lunch meat and cheese. Albertsons on Broadway has lots of selection to choose from. Grab some good rolls from the bakery and some fresh fruit and let everybody make their favorite sub sandwiches at home! My husband loves hot roast beef sandwiches. If I’m feeling fancy I grill up some sliced mushrooms and onions in butter and add those to the sandwiches with Swiss or Havarti. The sandwiches toast up under the oven broiler super fast and go great with some warm Au Jus! Dinner managed! Nothing says special like fresh flowers! I used to think of them as a big extravagance but there are lots of ways to spend a little and get a lot. Instead of hitting up an expensive florist head to Albertsons on Broadway and grab some inexpensive bunches of beautiful blooms or greenery. You can spend as little as $5 and come away with a beautiful bouquet. I had the chance to spend a few hours in a floral workshop with Debi Lilly of debi lilly design™ last week. She is an talented florist who has worked with celebrities such as Oprah and the Obamas. 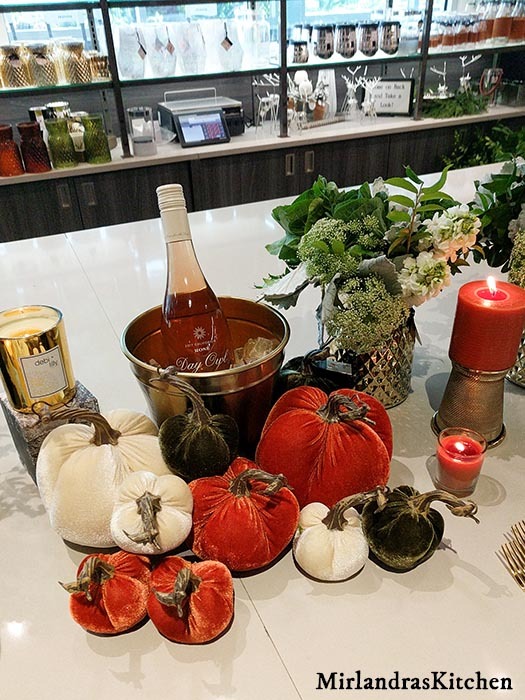 One of her great holiday tips is “Grocery to Gorgeous.” The idea is you can grab some flowers and a vase and plonk them in for stunning effect! I’ve picked up several tips from her that have made me a pretty darn good flower arranger if I do say so myself! Use a scissors to cut the bottom inch at least off of the stems. 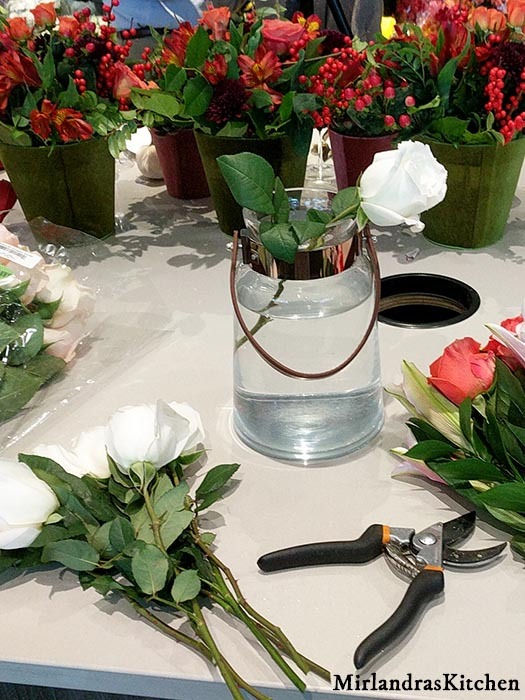 Cut the stems at an angle so that they won’t be flush with the bottom of the vase. This way the flowers can easily get the water they need. Trim the stems again a bit every day to help the blooms stay healthy and last longer. Remove all the green leaves that will be submerged under the water in the vase. This prevents bacteria growth and extends the life of your flowers. Use the packet of flower food included with the flowers. Just dump the white powder into the water and stir. Easy peasy! The food will give the plants nutrition to thrive longer. You can usually get a few extra packets of flower food just by asking at the floral counter. I save those under my sink and then use them to make fresh water for my flowers every few days to keep them looking fantastic. 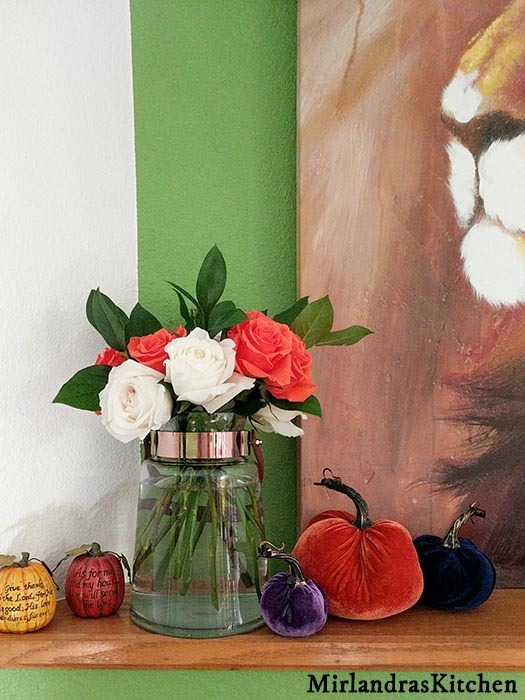 Trim the stems of your flowers so that the blooms are just above the top of the vase. Generally keeping the blooms closer to the vase in a low and tight arrangement gives you the most beautiful look. Not sure what colors to get? Green and white look wonderful together for any holiday. You don’t have to choose orange for fall or red for Christmas. If you have lots of other decoration don’t be afraid to keep the flowers simple. The holidays are not about perfection. They are about people, experiences, memories and celebration. A thing does not have to be perfect to be beautiful. This is my easy Black Magic Cake recipe. It is a simple but amazing chocolate cake with chocolate buttercream. I let my son help me frost it (yes, a two year old had a go at this cake!) and then we cut a few fresh flowers out of the bunch I brought home from Albertsons on Broadway. 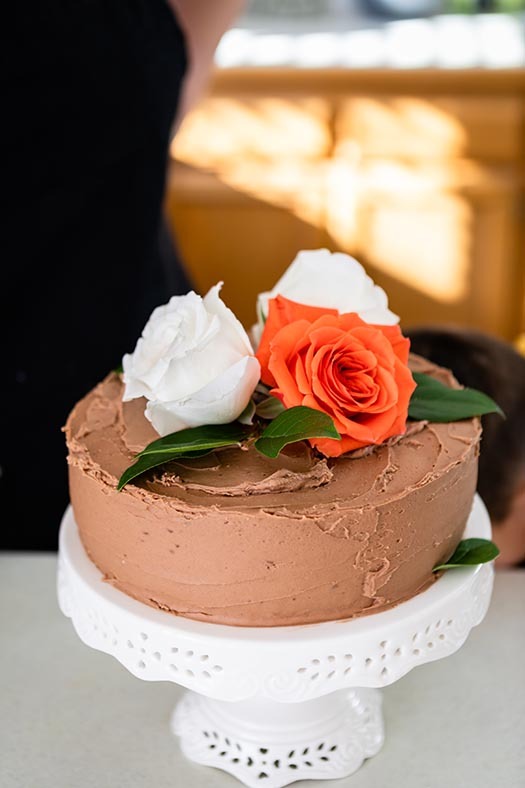 I set the roses on the cake with a some bits of greenery from the bouquet and presto – a simple chocolate cake looks like an extraordinary masterpiece! Meanwhile I got to enjoy time with my son and he got to help make a beautiful holiday cake. At two, the best part was getting to eat the cake but someday when he is grown I know he will look back through the pictures and know that I included him in the holiday festivities in every way. I hope that he will grow up to know he has been loved and cherished in every way in our family. The pressure of a gift! The best gifts are not necessarily the most expensive but rather the most thoughtful. I always need a few little things for hostess gifts, unexpected guests, a party that came up at the last minute. One of my favorite things about the Albertsons on Broadway store is the incredible selection. It really is a one stop shop for everything I might need! I know if I pop in I will find the perfect thing and options that won’t break my budget. Bottle of wine? They have more than 2,000 bottles. Fun party cheese – the selection is crazy – just don’t get lost in cheese heaven. Small and thoughtful gift item? Lots of those! 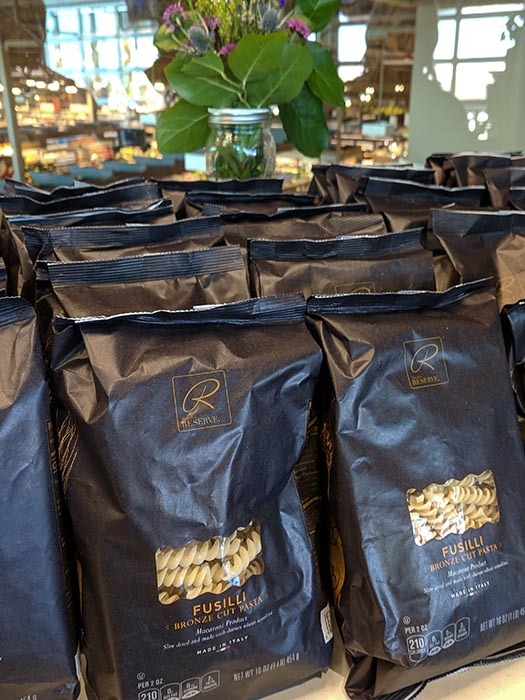 Plants, floral arrangements, or grab and go Grocery to Gorgeous – Yep! The debi lilly design™ line has even gone the extra mile to really make sure gift giving is easy. They developed the perfect price tags that peel right off- no scraping or scrubbing required! It really is the little things that make me a loyal customer and not having to fight with a price tag on a gift won me over in a hot minute! 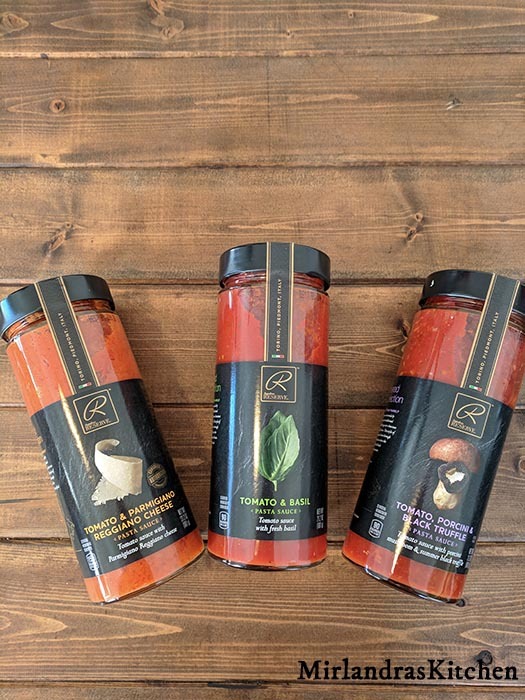 Albertsons also just launched a wonderful new Signature RESERVE line of products that make great gifts and gift baskets! These are ultra-premium products with global ingredients, quality craftsmanship and unique flavors. Our family had been enjoying some of the new Ginger Peach Black Loose Leaf tea this week and it is so good I’m planning on gifting some to tea lovers I know. One of the hardest challenges of holiday cooking can be the meat. In many meals the amazing roast or turkey or succulent ham is supposed to be the star of the show. But in general the average cook only makes that kind of dish once or twice a year. When you are planning your meal take a few minutes and ask the staff at the meat counter for some advice. Tell them what you want to do and ask for suggestions on what to buy, how much to buy, and how to prepare it. I always learn something new and come away with the perfect cut of meat for my event. Albertsons on Broadway is overflowing with choices in hams, roasts, and seafood. They have more than 12 varieties of shrimp alone and the butcher can do custom cuts. 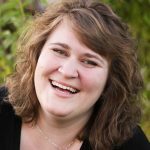 Take advantage of their knowledge for holiday entertaining success! I’m a recovering DO ALL THE THINGS person. I really used to believe that if I did everything myself it was somehow better, more magic and everyone would be happier. But really I just ended up completely exhausted which didn’t exactly make me fun to be with. These days I’ve hit that magic “mid-30s” age where I feel more comfortable in my own skin and I am wiser about what actually makes me happy. As you plan for holiday food decide what you enjoy or have time to make and then plan to get the rest of what you need another way. You could decide to pick up dessert, or just the rolls or maybe a pre-made veggie tray. Or if cooking is not your gig and you want to put your feet up this year consider letting Albertsons on Broadway do the cooking for you! They have multiple holiday meals available for preorder. Thanksgiving is my favorite holiday of all time but this year I’m recovering from surgery and I just don’t have my strength back yet for a marathon week of cooking. I told my family I would make a pie and an appetizer but that they got to split up the rest of the cooking this year. I plan to sit on the couch with a nice glass of wine and tickle my nephews and generally enjoy all the children. 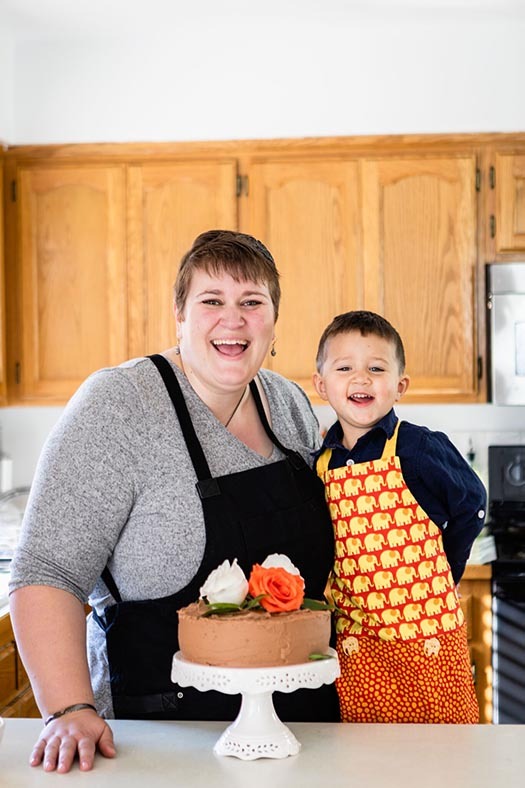 It turns out there is more than one way for a passionate cook to enjoy the holiday! When all is said and done don’t let your memories of the holiday season be how much your feet hurt or how tired you got or when you yelled at the family because you were over-scheduled and cross. Be kind to yourself this year and make sure you get the care you need through the festive season and on into the new year. Limit the parties. You don’t have to say yes to everything. Make sure to take the time you need to recharge between events. Different people need different amounts of time for this. 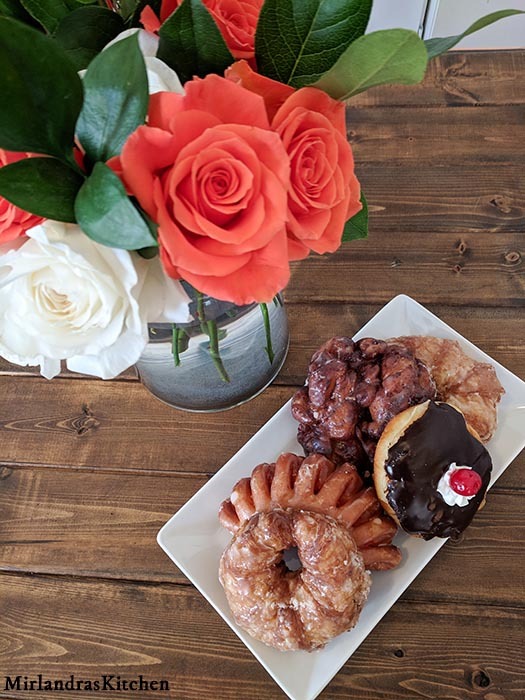 Take time with the family to do the little things – talk, make popcorn, play a game – go pick out doughnuts together on a Saturday. Connection feeds the spirit and makes everything better! Moms in particular can end up run pretty ragged. No matter what it takes find time for yourself. Even small bits of time can make a big difference. I’m always amazed how much getting 15 minutes to breathe and reflect can change my outlook and peace during a hectic time. Previous Post: « The Great Stand Mixer Face Off: Bosch vs. KitchenAid vs. WonderMix – Which Mixer Do You Need?